What is the difference between freshwater pearls and saltwater pearls? Ladies, let’s educate ourselves on the bling that we are wearing. 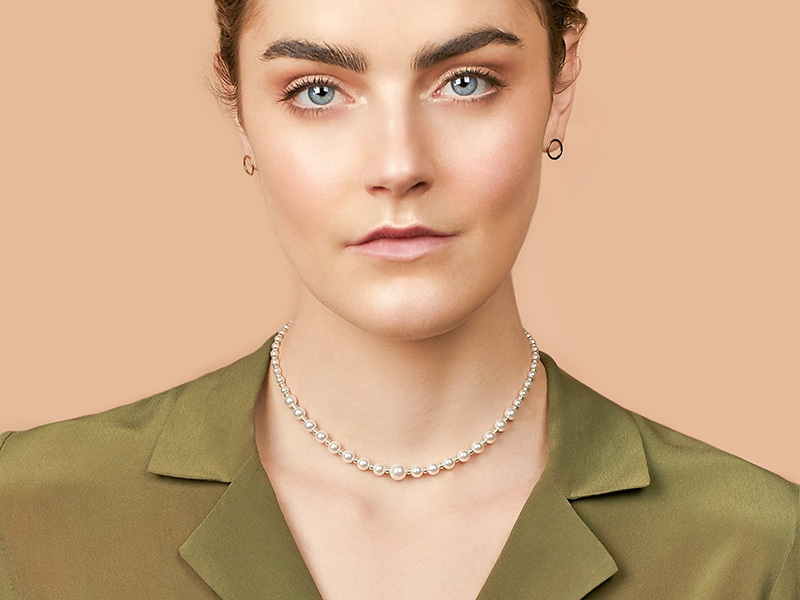 Pearl jewelry is hot and shows no sign of cooling down. It is time to finally learn the difference between these two aquatic gems. This way, when you buy precious & semi precious stones jewelry, you will have all the information you need. 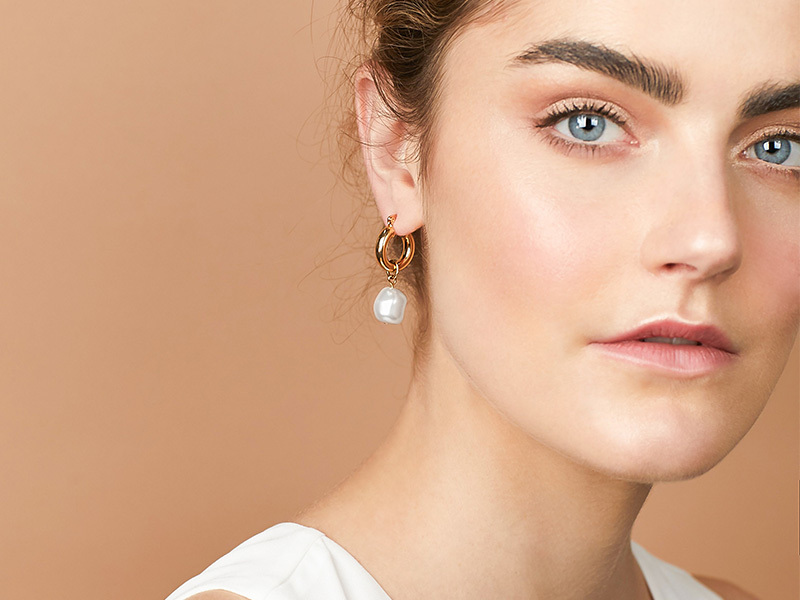 Read on to properly prepare yourself for your next pearl purchase. Let’s put a quick end to this urban myth. Not all saltwater pearls are wild pearls. In fact, most saltwater pearls and freshwater pearls are cultivated. It is very rare to find a pearl that is wild these days. Unless the jeweler shows you that the pearls are wild then you can just assume that he has cultured pearls on display. 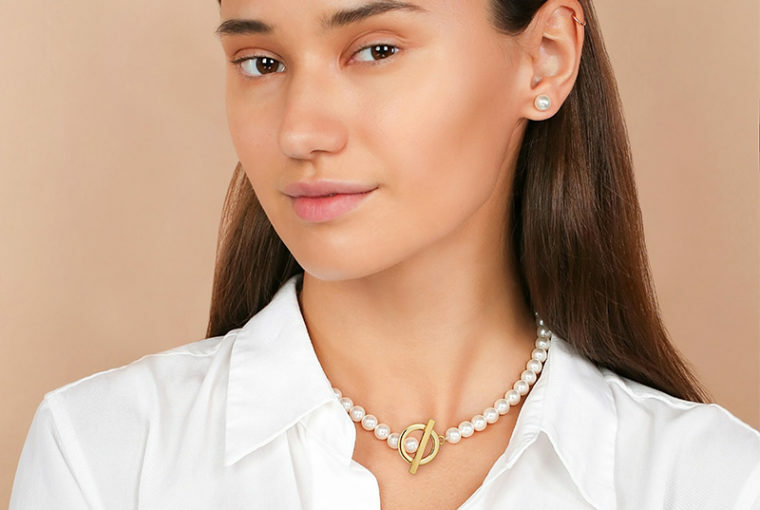 How are cultured pearls and wild pearls different? A cultured pearl is still grown inside a mollusc but the center of the pearl is actually an artificially inserted material. The nacre, the milky smooth surface that you see, grows around this material. Wild pearls don’t contain an artificially inserted material. Instead, the nacre grows around an intruder that has gotten naturally inside, like a parasite or shell fragment. Forming nacre is actually how the mollusc defends itself from external dangers. Where Do Freshwater Pearls and Saltwater Pearls Come From? Freshwater pearls are grown inside mussels. China can proudly call itself the largest producer of these kind of pearls. Another big producer is Japan, they are famous for the Biwa pearl. You can also find homegrown pearls in the United States. Saltwater pearls are grown inside oysters. The competition for saltwater pearls is fiercer. Big producers of saltwater pearls are Indonesia, Tahiti, Japan, Thailand and countries farming pearls from the South Sea such as the Philippines and Australia. Each region has its own distinguishing qualities. The most popular pearl is the saltwater Akoya pearl cultivated in Japan. These pearls are smaller than other pearls but known for being perfect spheres. The South Sea saltwater pearl grows the largest varieties. They come in a spectrum of colors ranging from white to gold. Tahitian pearls are naturally a darker color. Tahitian pearls are usually an odd shape, either baroque or oval-shaped. Freshwater pearls have the most variety. They come in a wider range of colors from white and rose pink to metallic colors. These pearls are also available in any shape, baroque, oval, spheres or teardrops. What Is the Difference Between Freshwater Pearls and Saltwater Pearls? There are three main differences between freshwater pearls and saltwater pearls. These differences are the size, glossiness and nacre. However, when you compare a round white freshwater pearl, it is hard to tell the difference with an Akoya pearl, for example. Changes in production processes of cultured pearls have made the differences smaller and smaller. Freshwater pearls are only smaller than saltwater pearls when they are left to grow for a shorter time period. Short growing periods were common for freshwater pearls. However, more producers are choosing to let the pearls grow longer instead. So, the difference in size no longer applies when given a longer growing period. Another reason why the size differs is because of the material inserted into the mollusc. The shape and size of the inserted material affects how the nacre grows around it. The nacre of oysters grows around a tiny bead giving saltwater pearls their rounder shape. Mussels are generally inserted with mussel tissue which is not a uniform shape. This tissue is why a pearl grown in freshwater can take on any shape. Another common myth that you will hear is that saltwater pearls have a better shine than freshwater pearls. Again, this difference is up to the producer. A pearl cultivator that uses up-to-date techniques can grow pearls in freshwater that are just as glossy as the saltwater variety. The nacre of a freshwater pearl is thicker than that of a saltwater pearl. Even with a shorter growing period, the diameter of the nacre is greater in a freshwater pearl. This also has to do with the material that the nacre grows around. The mussel tissue inserted into mussel is smaller than the bead inserted into oyster. Essentially, you get more of the valuable nacre material in a freshwater pearl. The thickness of the nacre affects two things; the glossiness and durability. Thicker nacre is denser and so loses some shine. However, the newer freshwater pearl growing techniques make up for this. The difference is not noticeable when you get high quality pearls. Freshwater pearls are more durable than saltwater pearls thanks to this extra diameter. The thicker nacre is more resistant to bumps and scratches. This means that your freshwater pearl jewelry could last longer than saltwater pearl jewelry. Last, but not least, you can get a lot of color diversity with freshwater pearls. If you love your pearls with a tint of color, then you should get the freshwater variety. If you enjoyed reading this article, check out our other articles as well. On the blog you will find high-quality jewelry information, from buying guides to maintenance tips and inspirations styling advice. 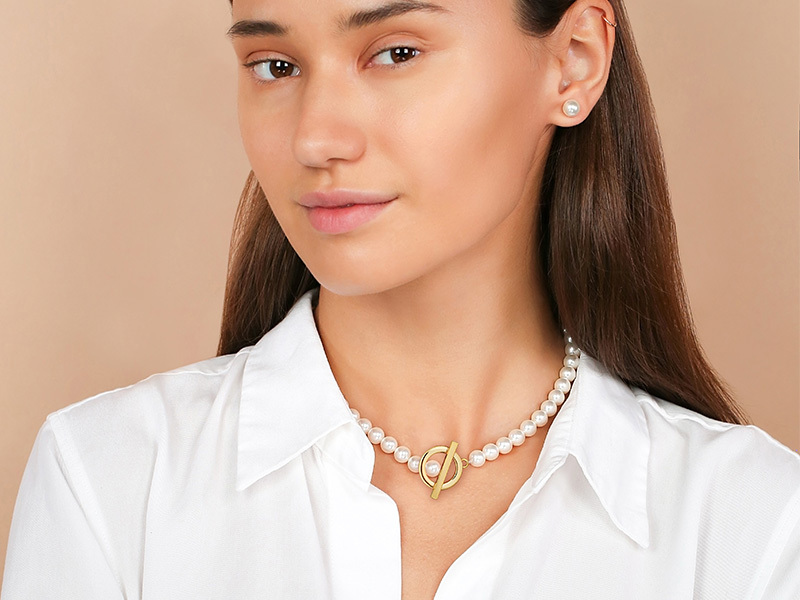 If you want to get any of the designs featured in this article, check our Ana Luisa’s unique pearl jewelry collections.